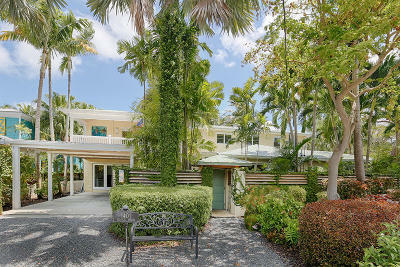 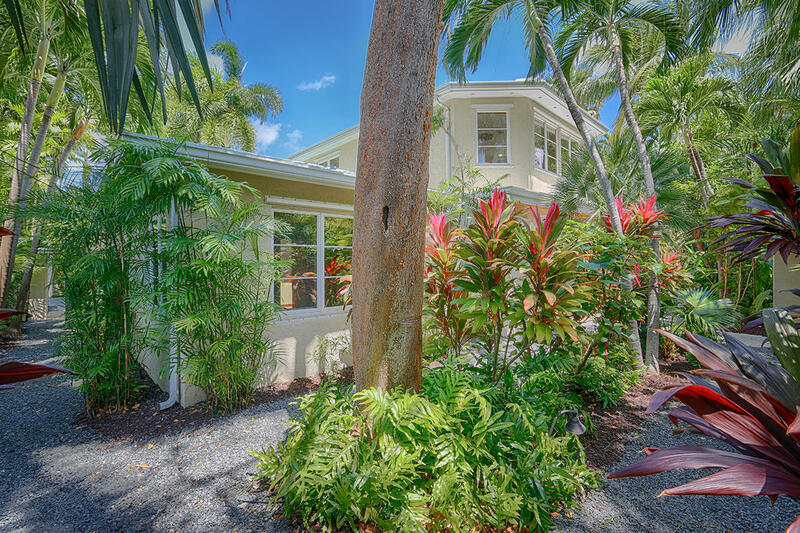 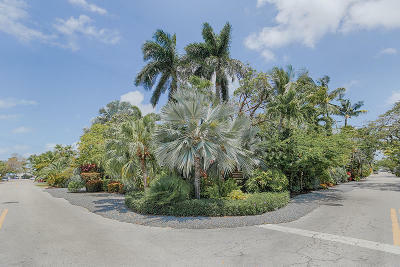 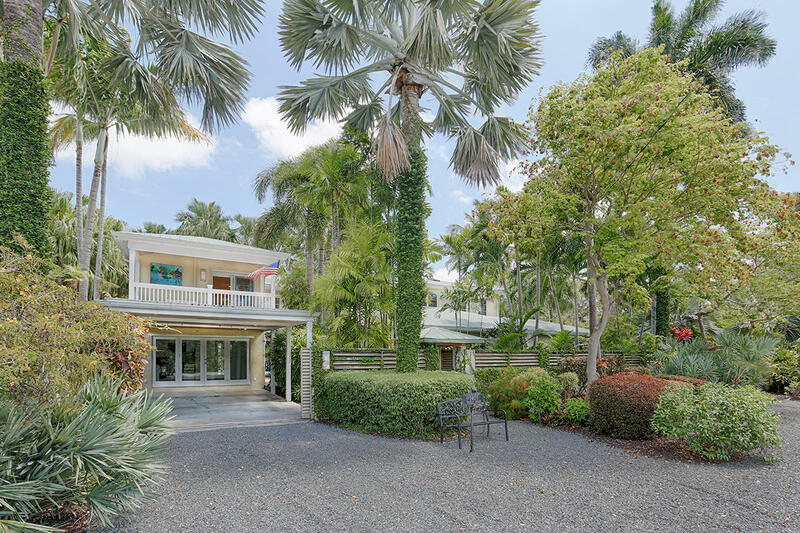 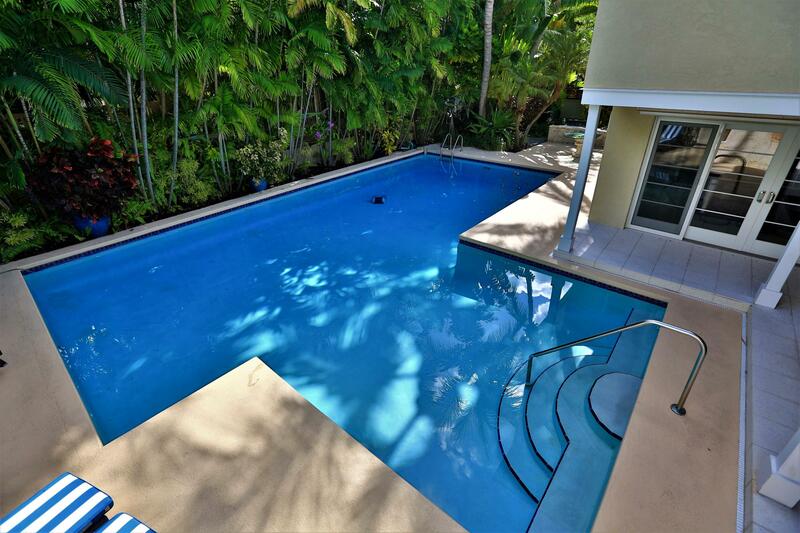 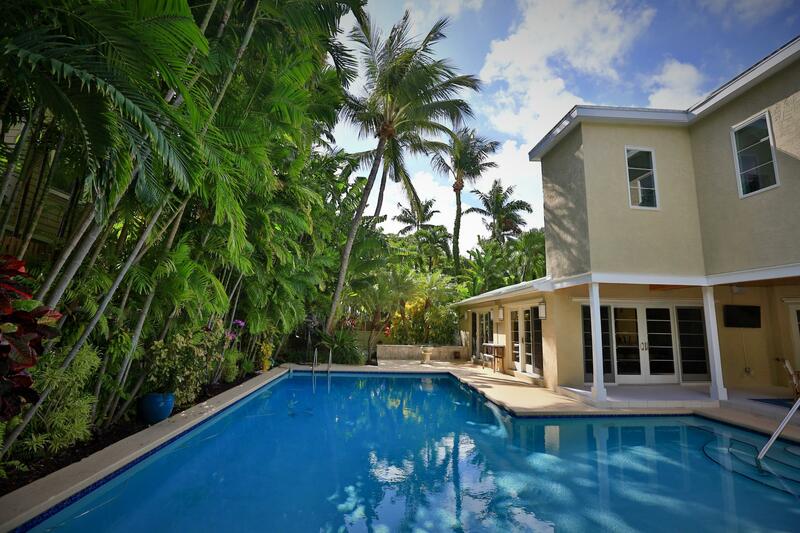 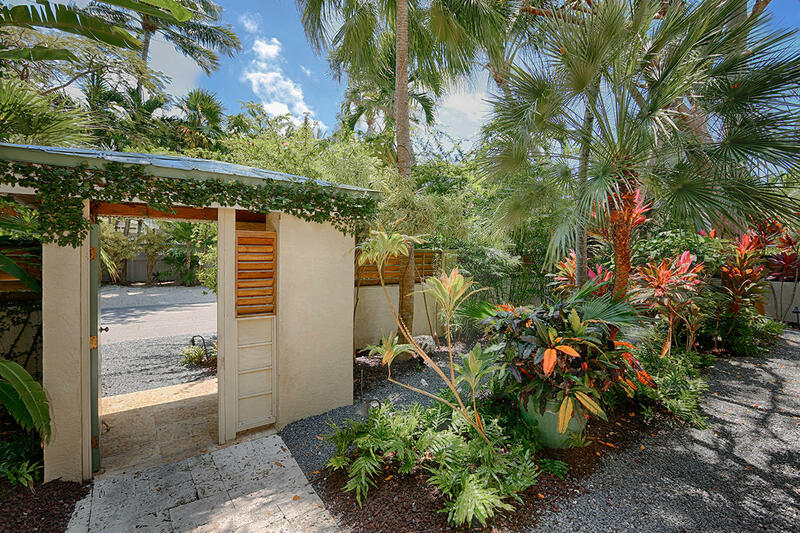 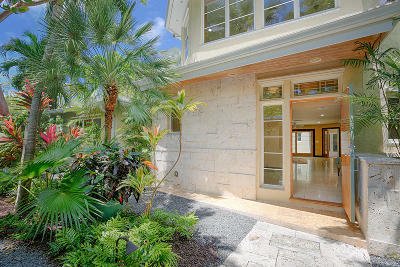 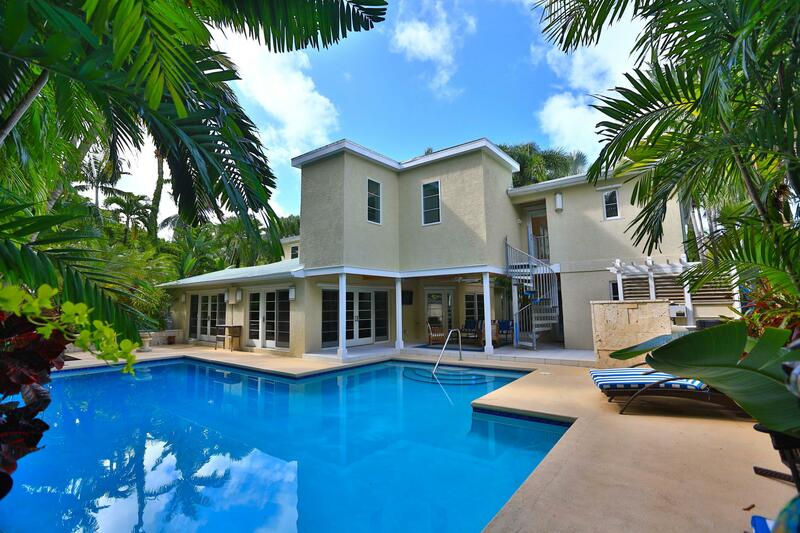 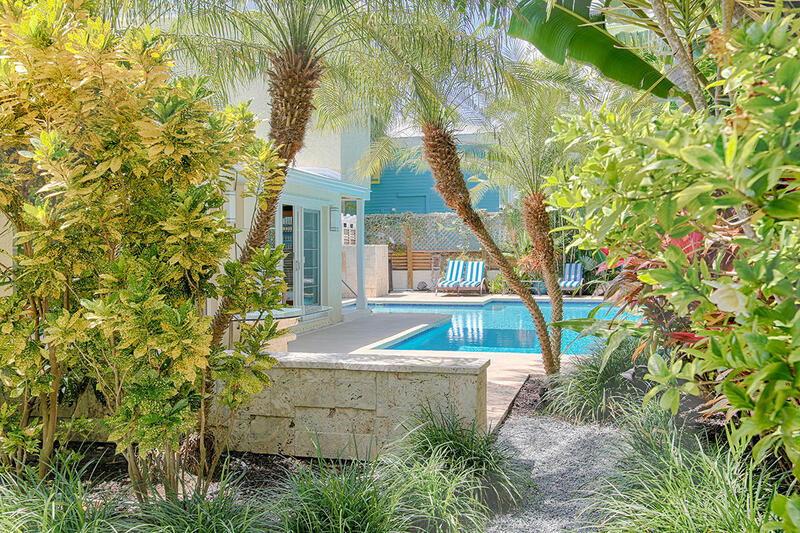 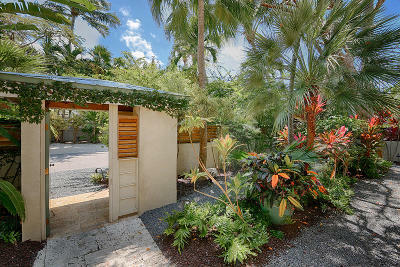 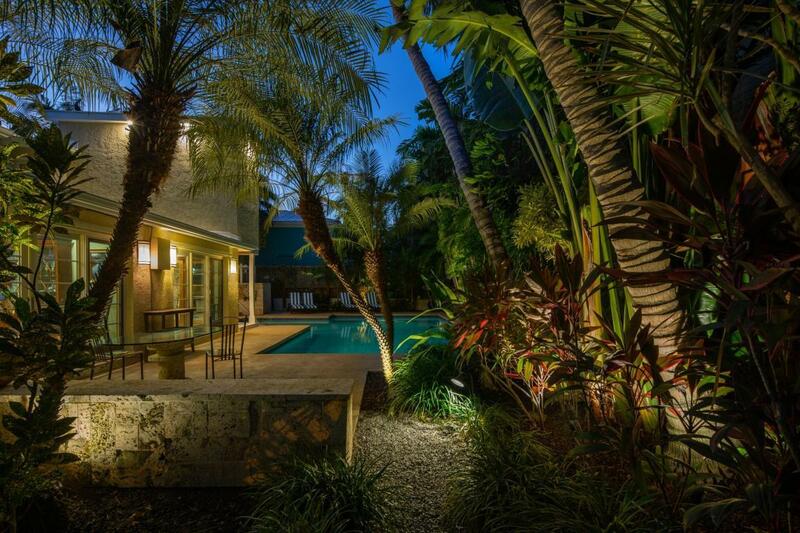 A haven for luxury living awaits within an enormous tropical corner lot. 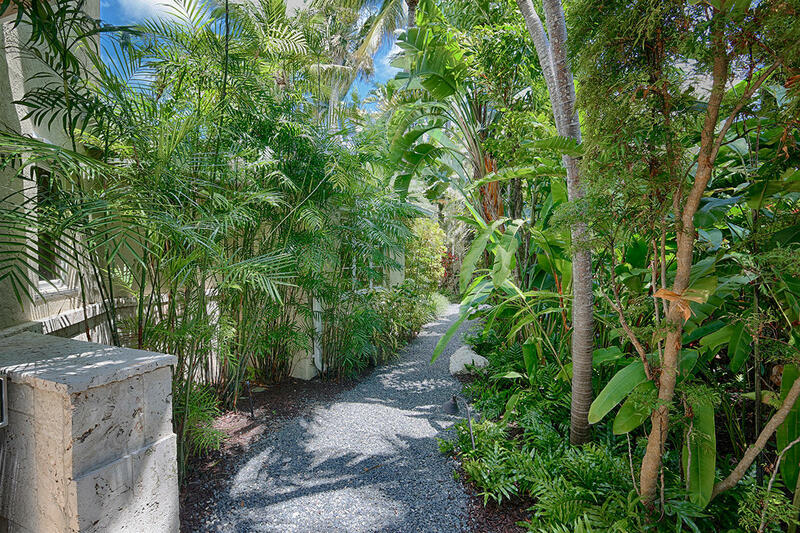 The attractive gated entrance welcomes all with first glimpses of meticulous gardens, full of mature native and exotic greenery. 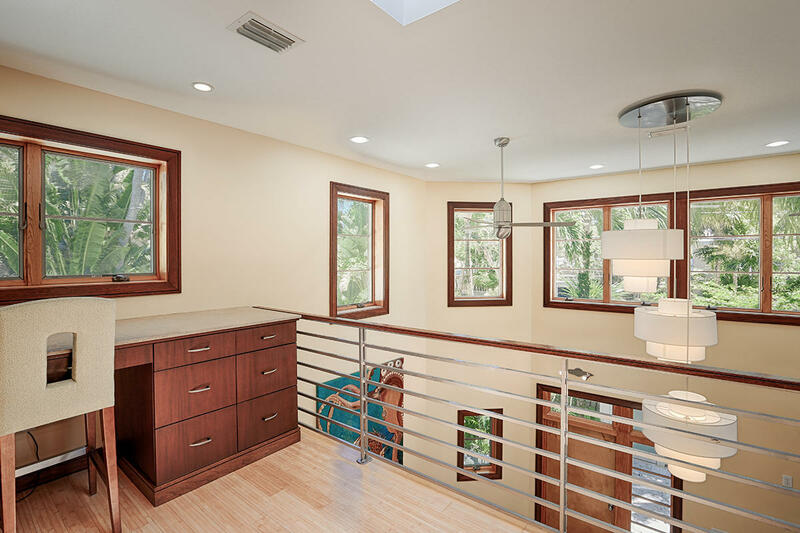 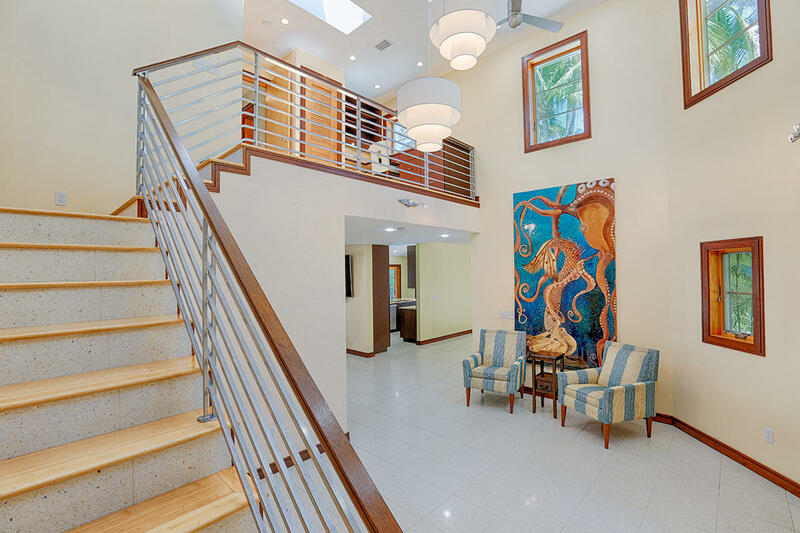 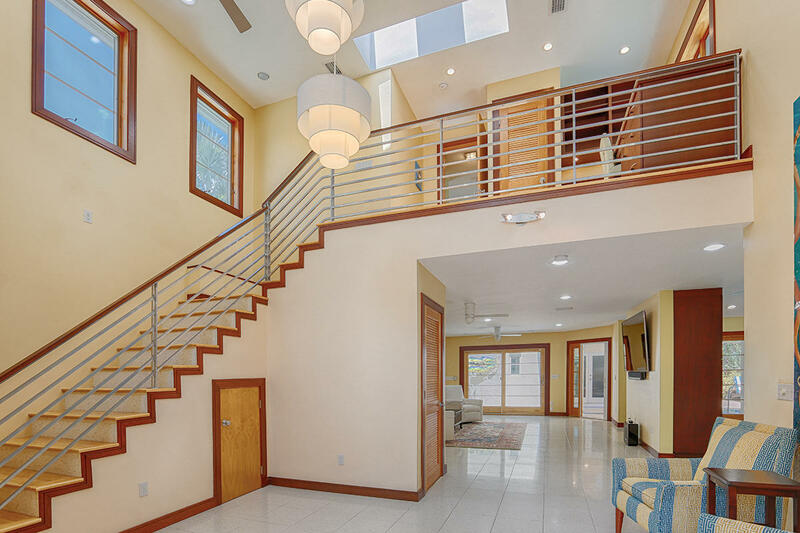 Soaring ceilings are accented by a dramatic staircase leading to the master suite. 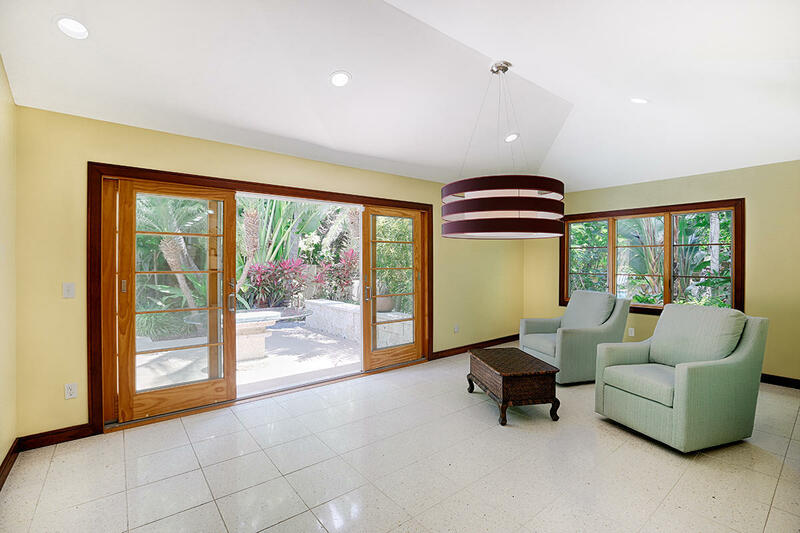 Sparkling floors and sophisticated palettes arouse senses and beckon guests to see more. 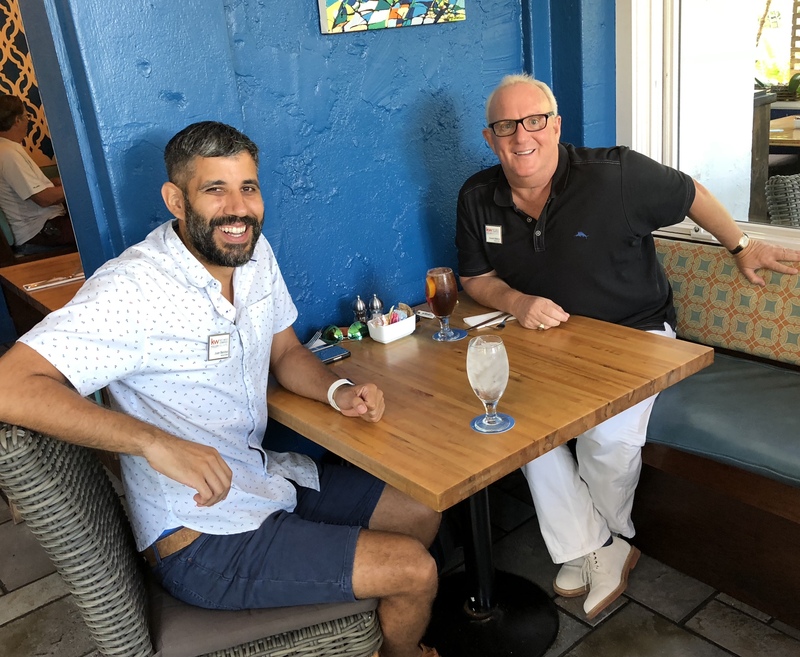 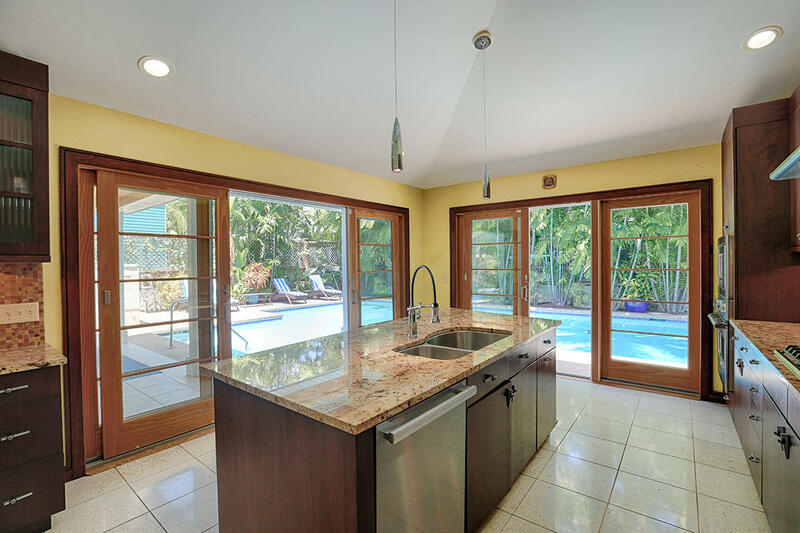 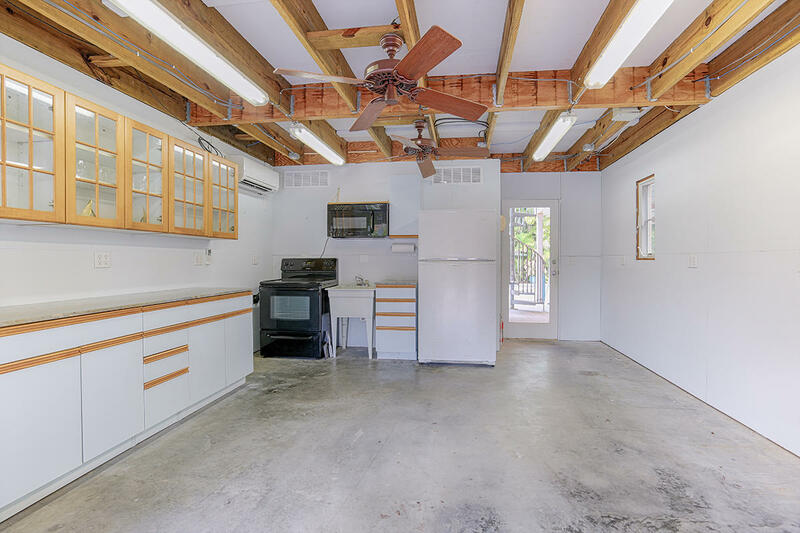 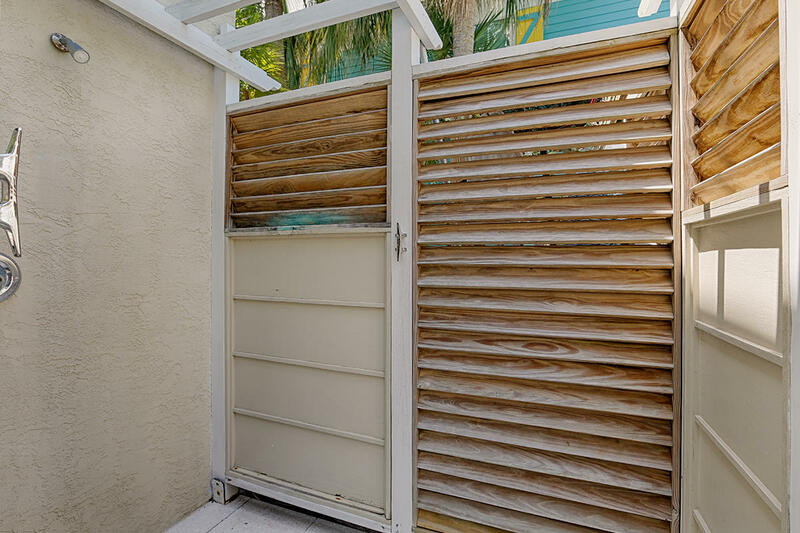 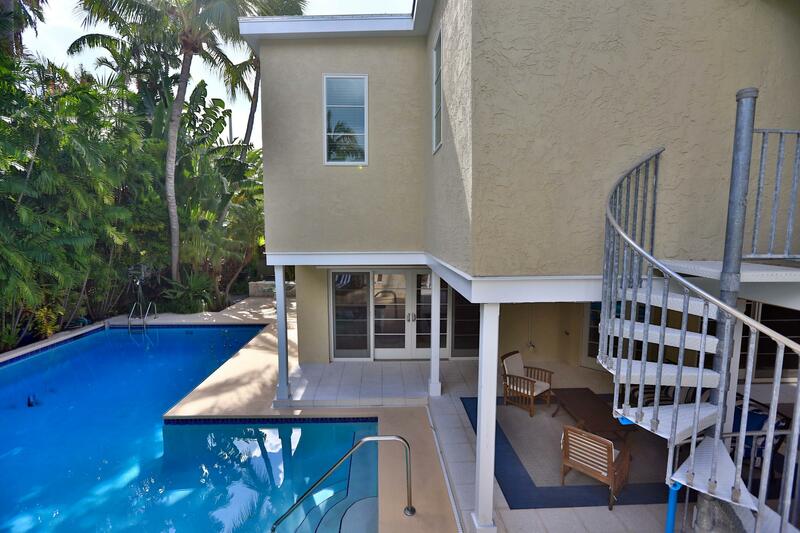 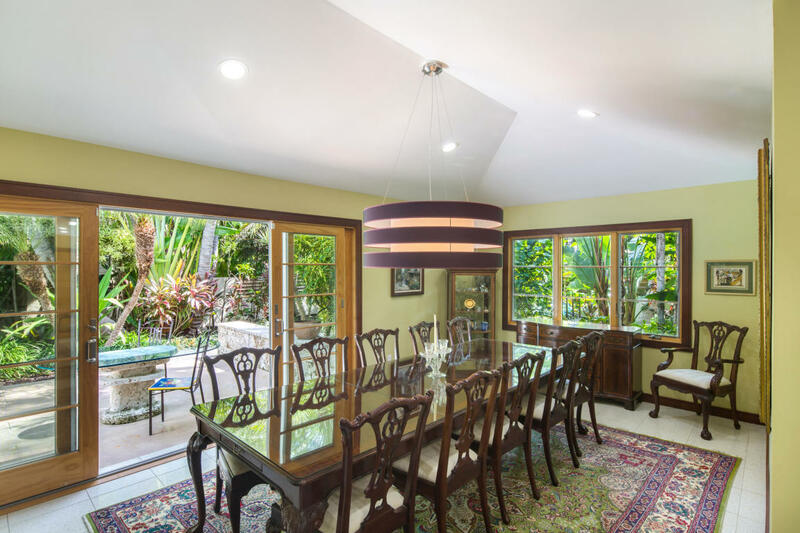 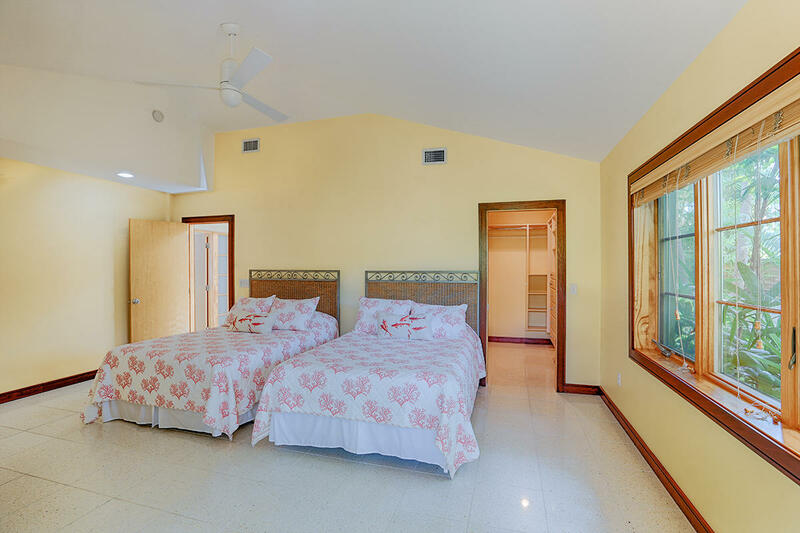 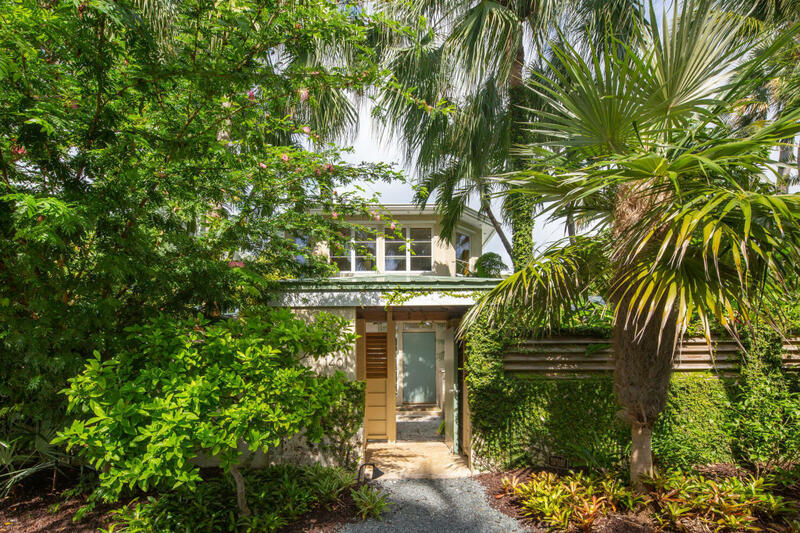 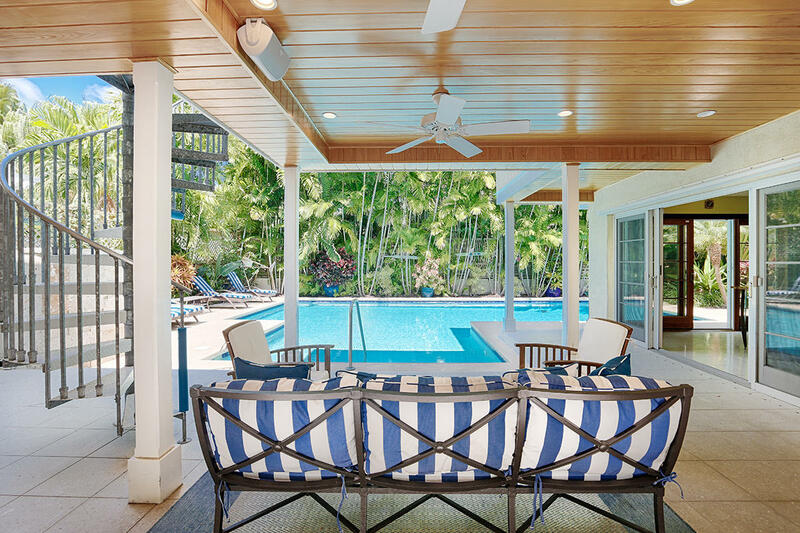 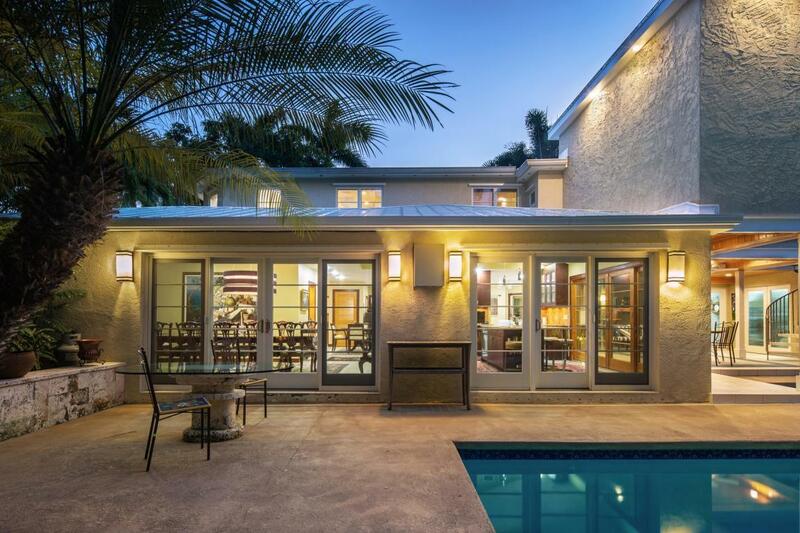 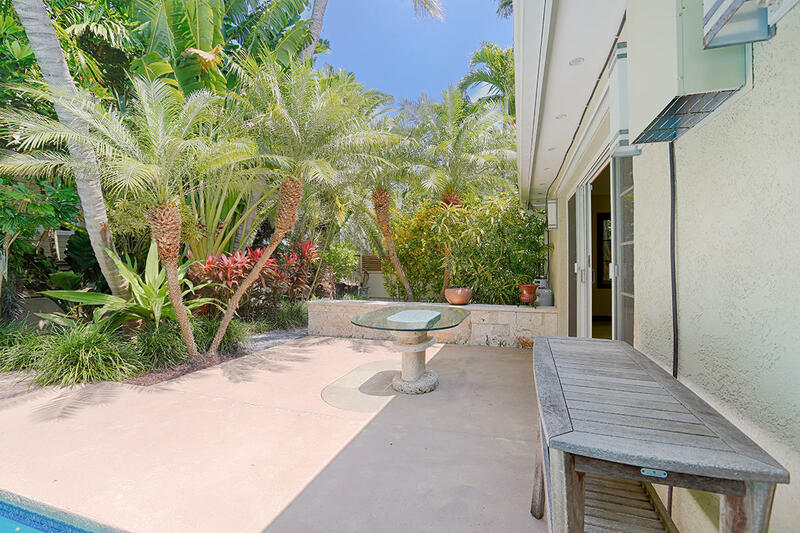 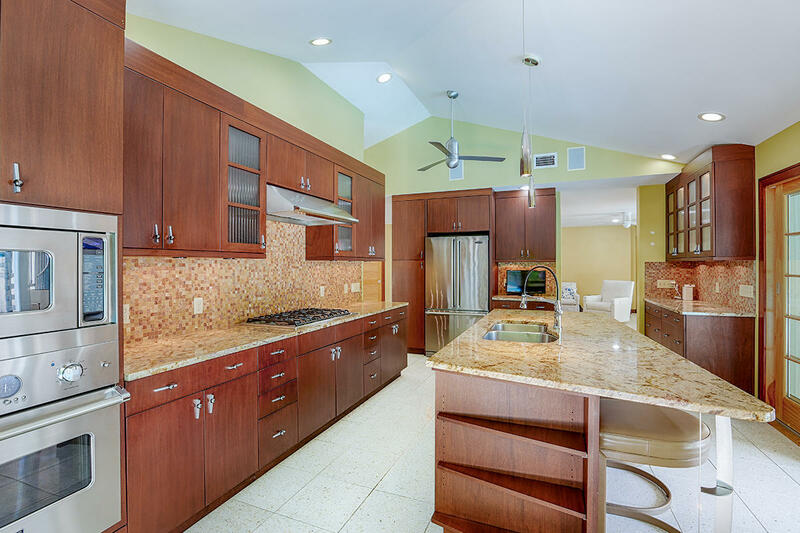 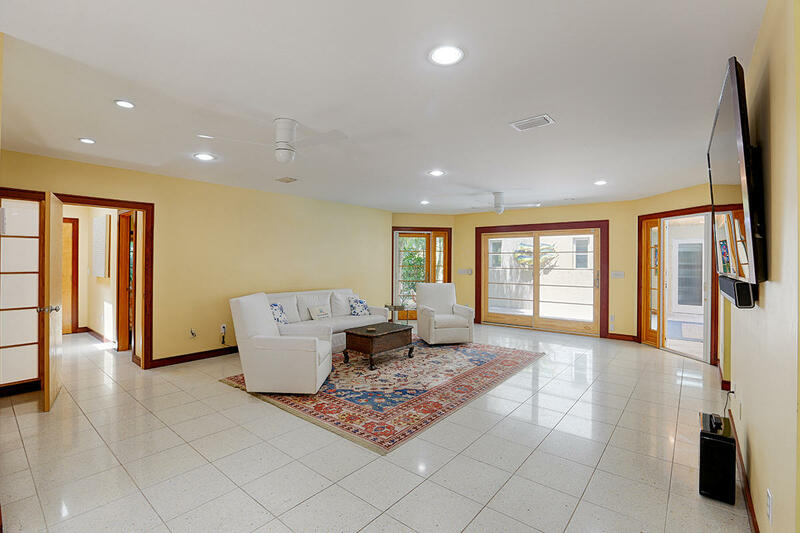 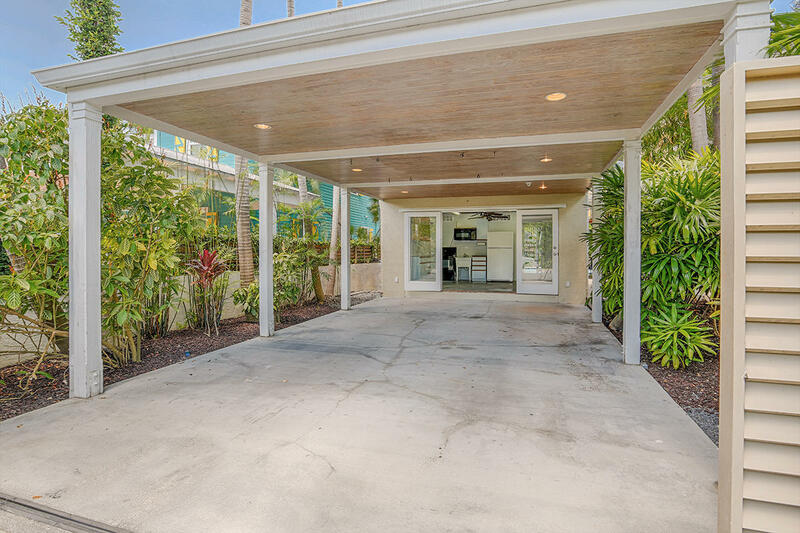 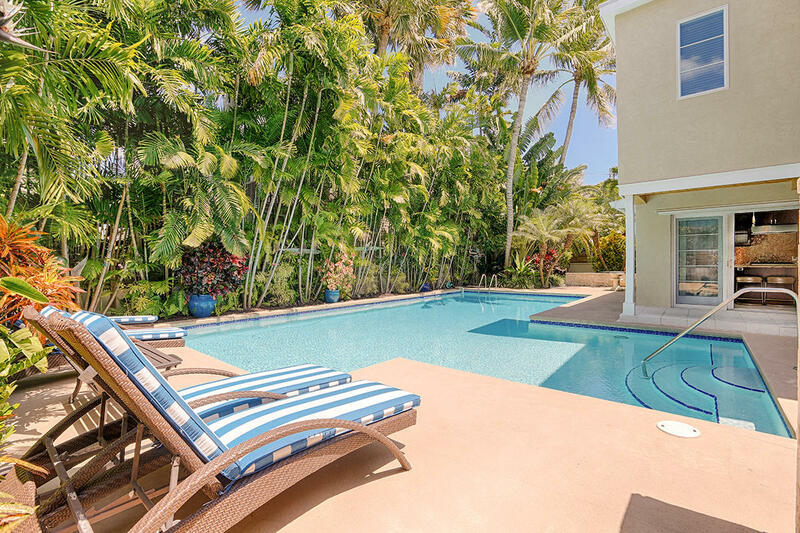 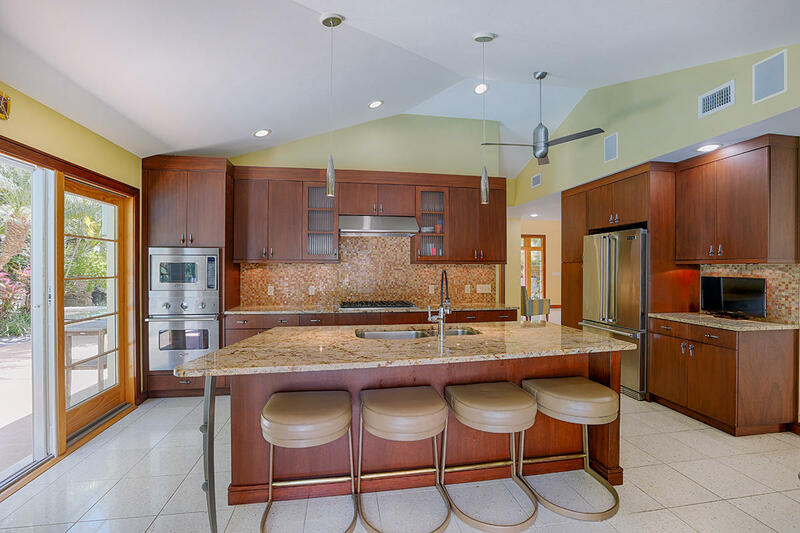 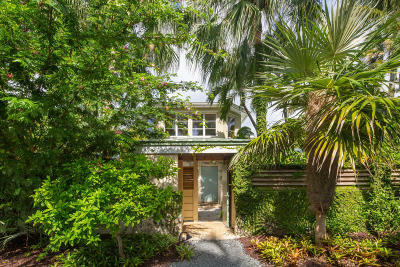 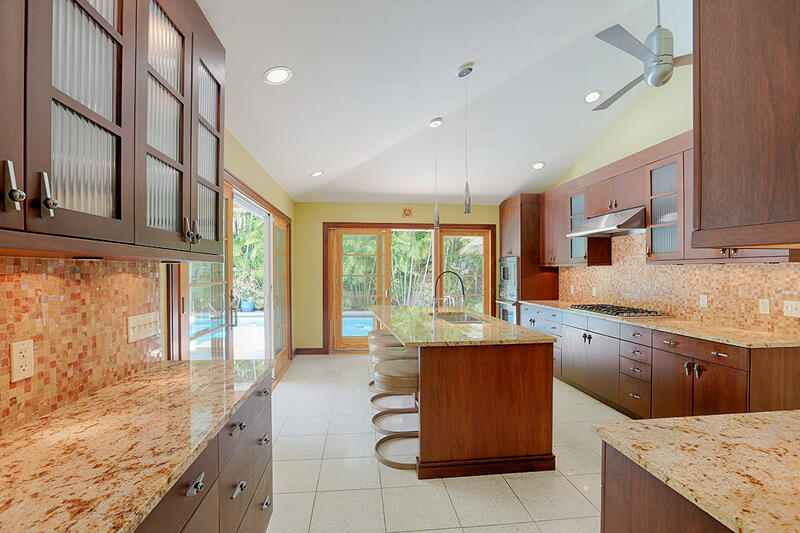 The media room provides space to relax, while the spacious dining room and stylish kitchen have multiple sliding doors ensuring indoor outdoor living for which Key West is famous. 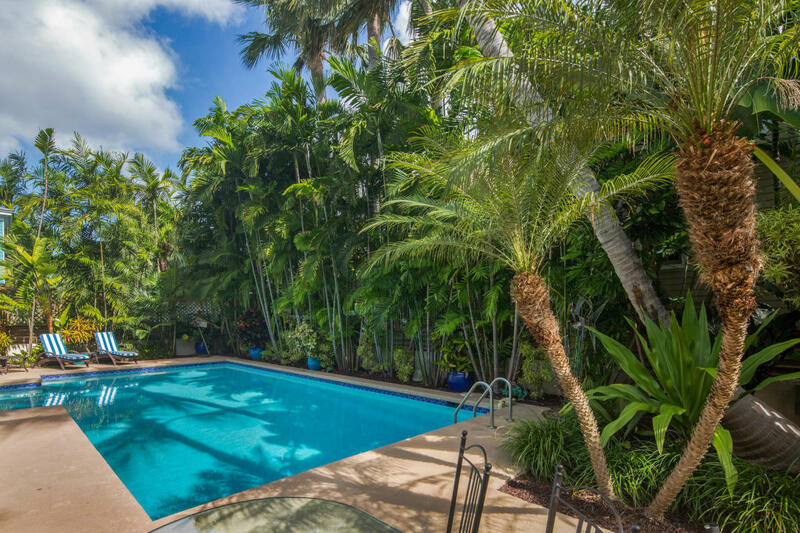 Arguably one of the largest in town, an enormous saltwater swimming pool with generous decking and inspiring gardens create a peerless oasis. 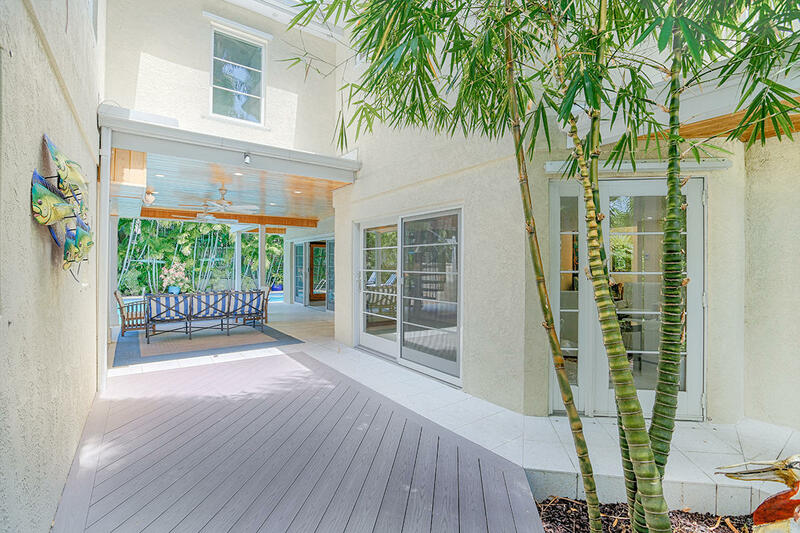 The gracious covered porch allows for additional sitting and entertaining out of the sun. 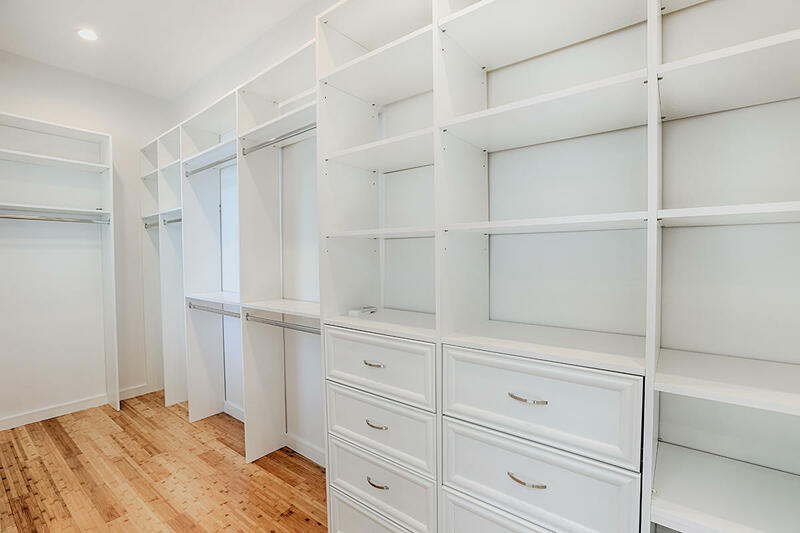 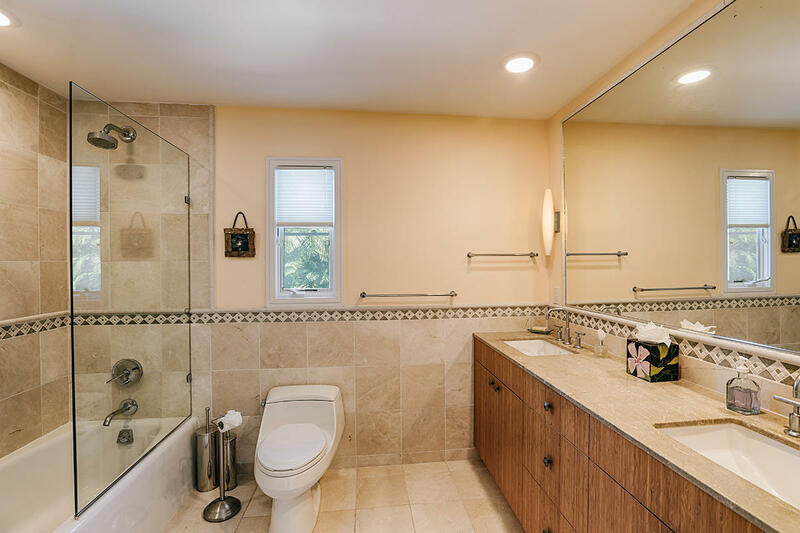 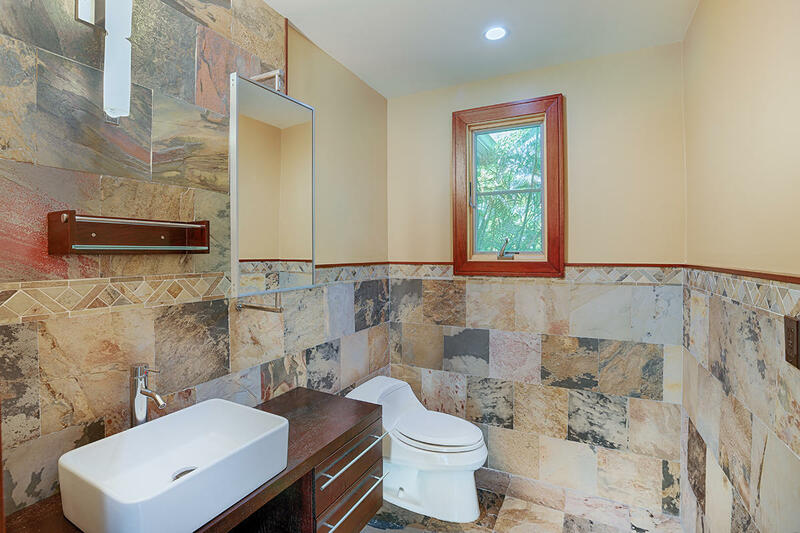 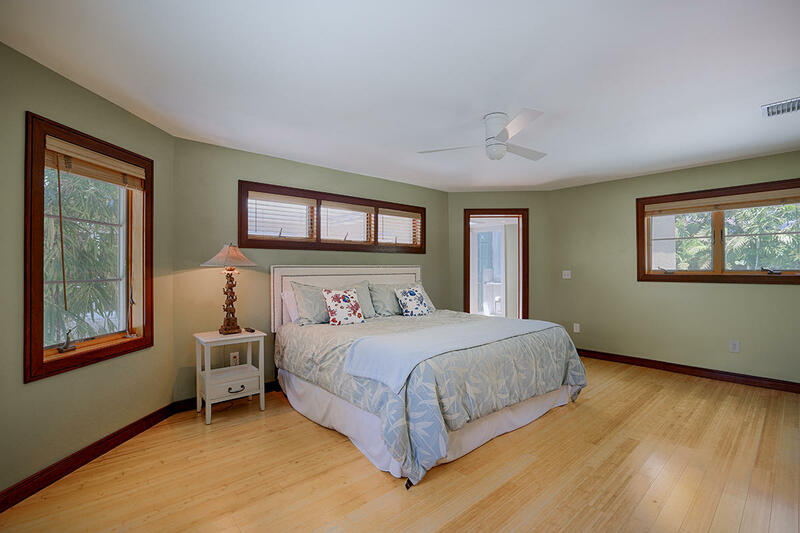 When time comes to rest, there are two bedrooms (one en suite) and two full baths with a half bath downstairs. 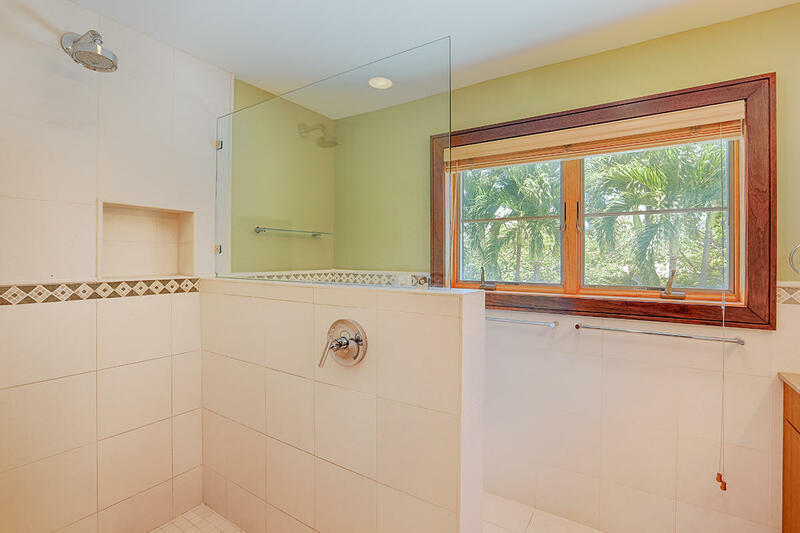 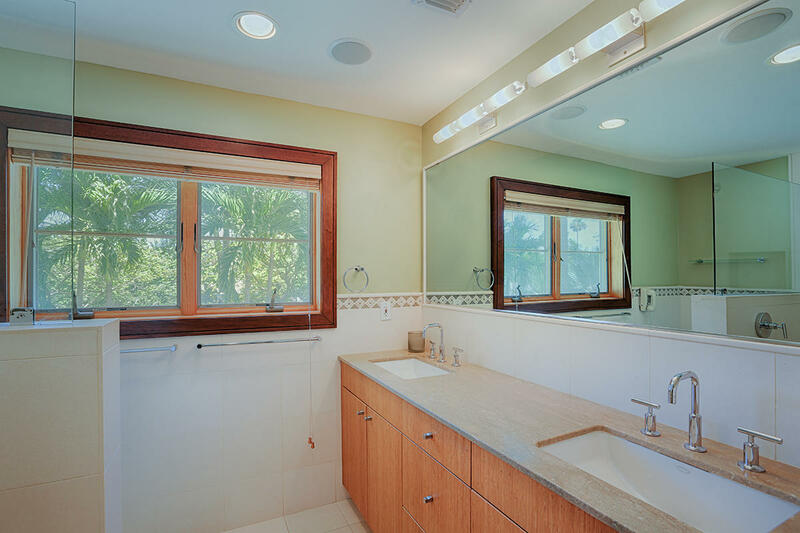 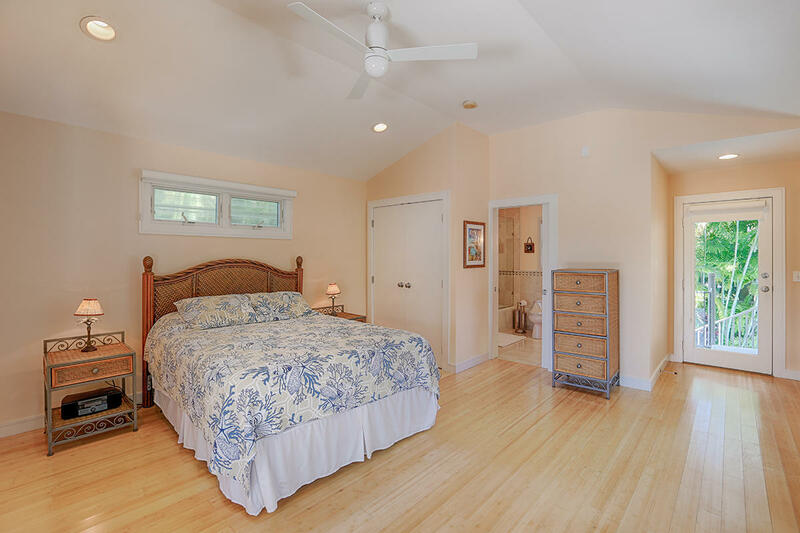 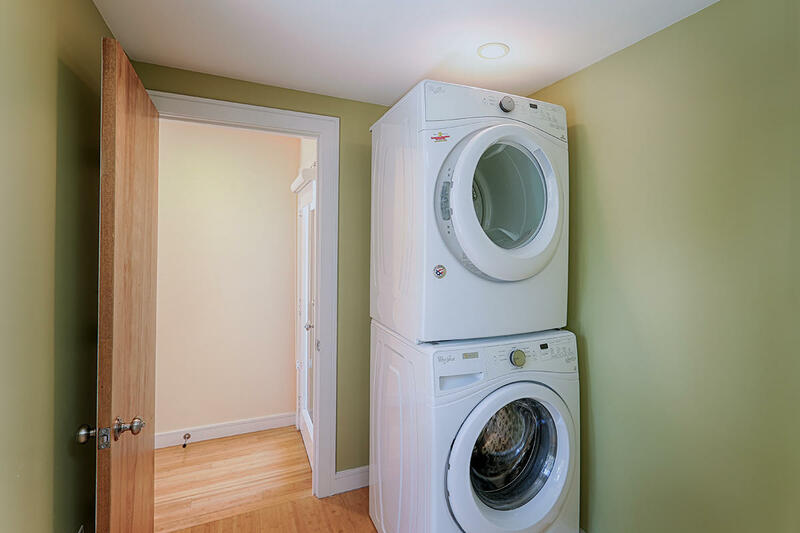 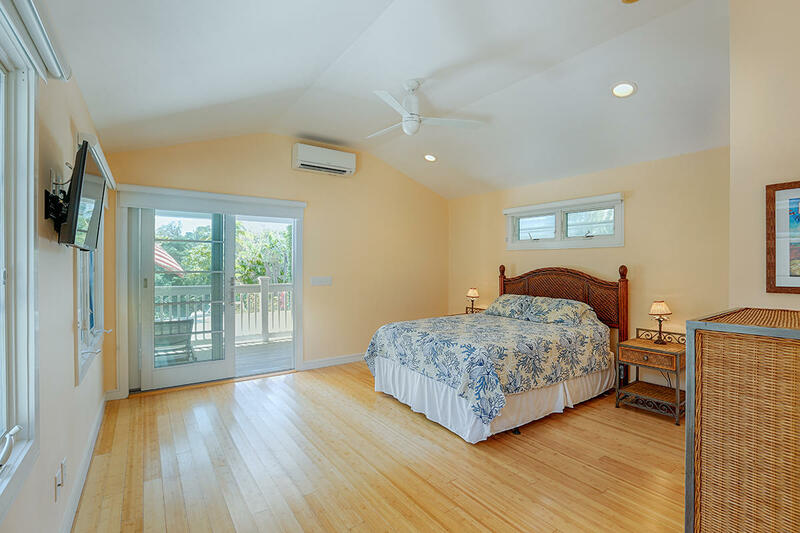 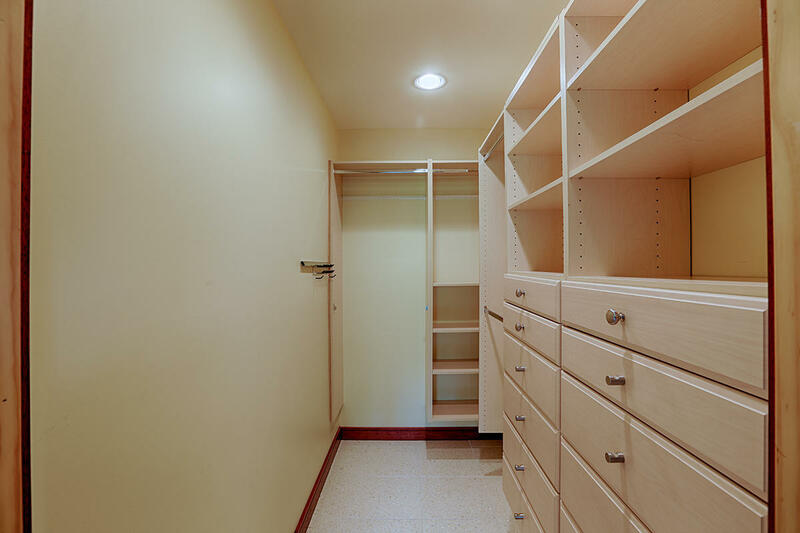 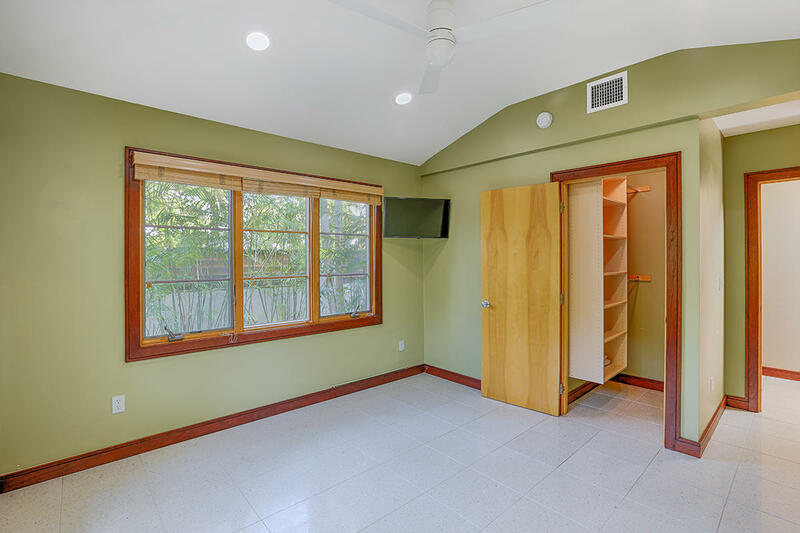 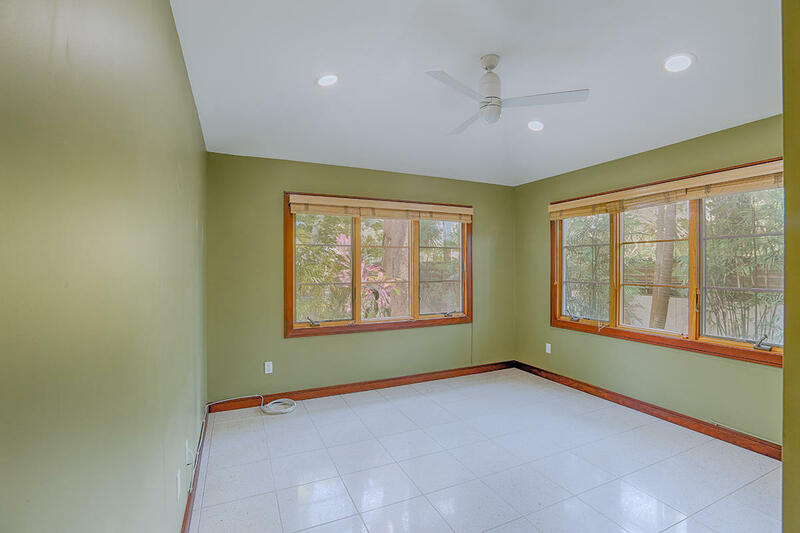 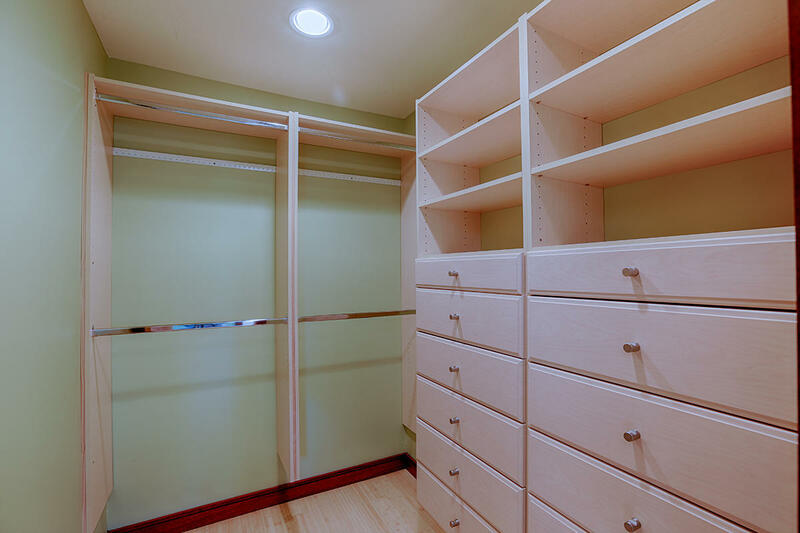 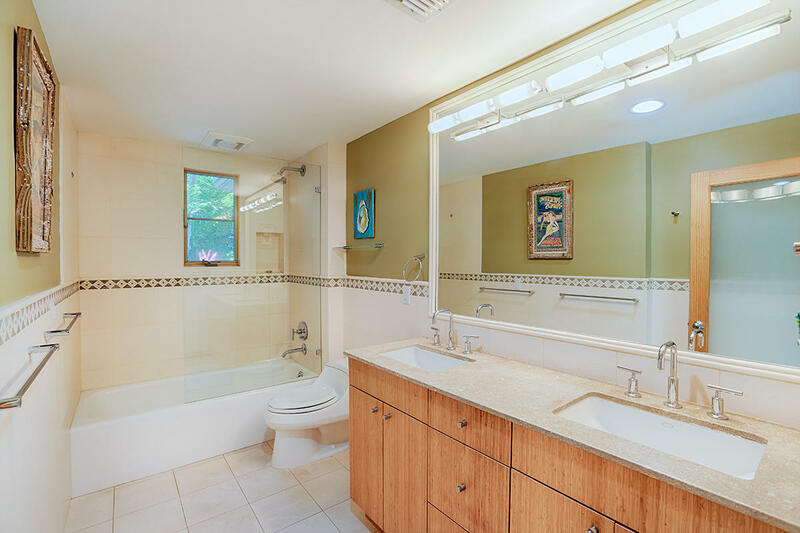 On the second floor, the master suite has a peerless walk-in closet with a stylish bathroom. 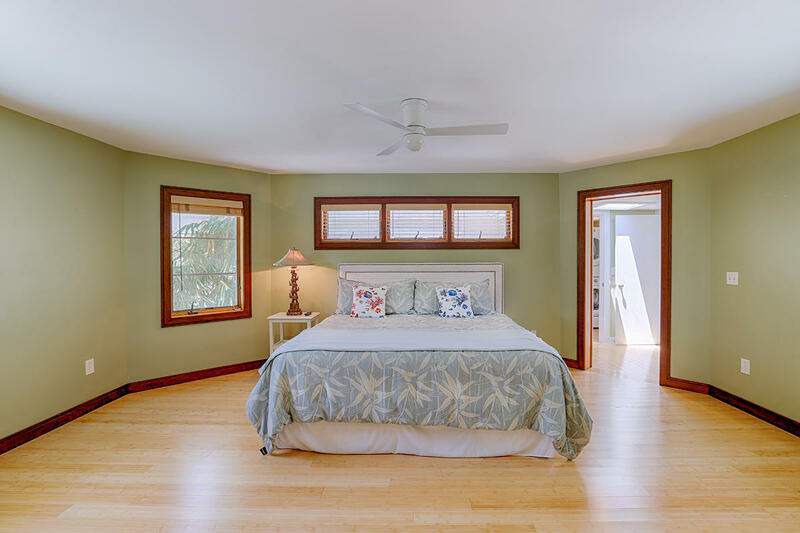 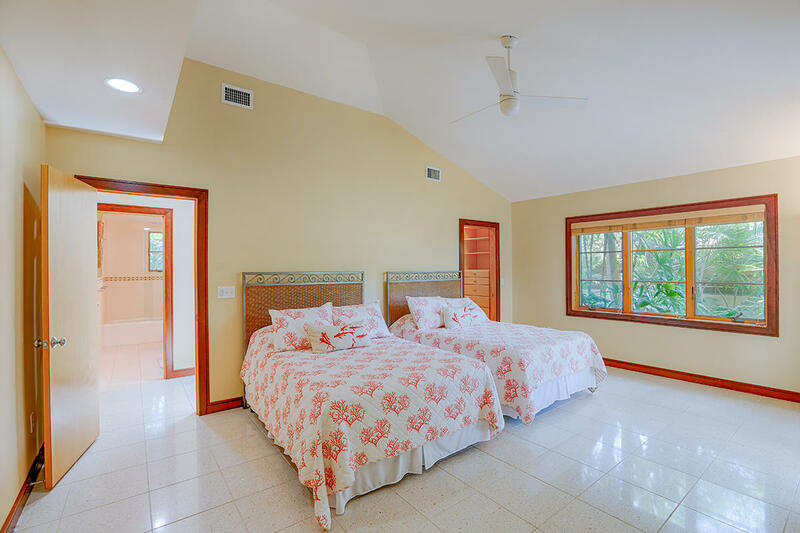 An adjoining bedroom has a private porch, en suite bath and separate entrance, thus allowing flexibility to be either the fourth bedroom or office for the master. 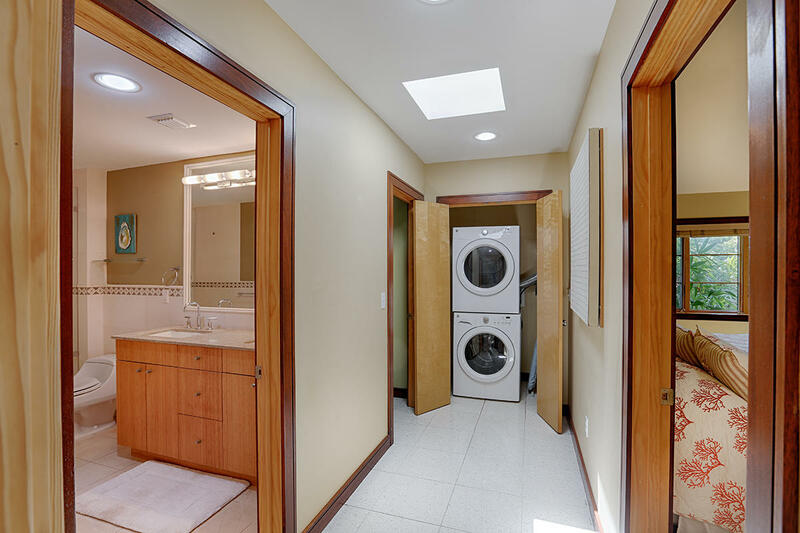 Other features include outside (caterer's) kitchen, covered parking, electric gate, complete irrigation system, central alarm, two laundry centers, and many more surprises. 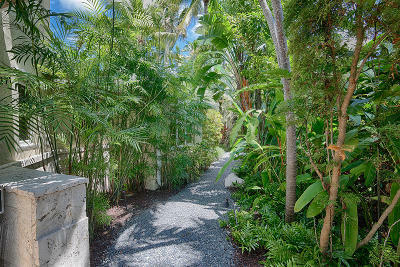 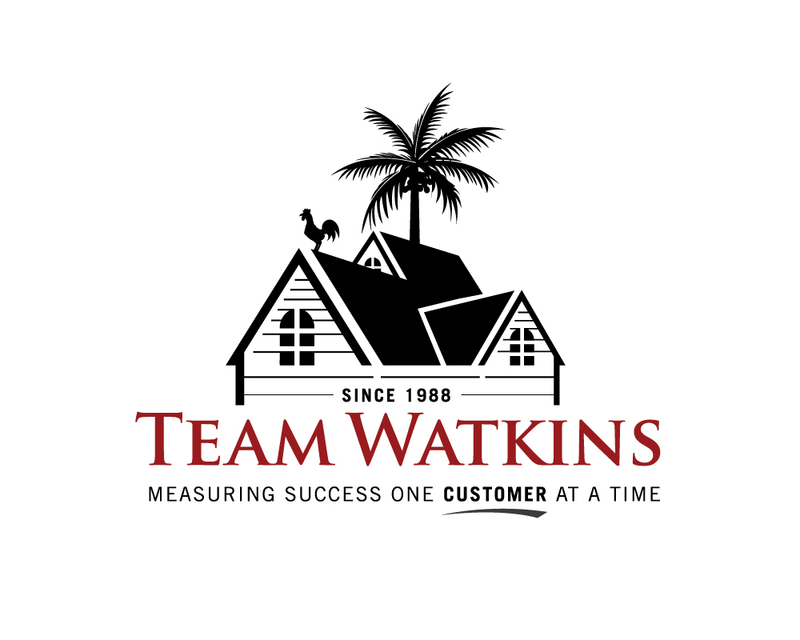 Come and experience the best Key West has to offer today.